InCrowd’s on-demand platform provides direct and immediate access to Crowds of screened and targeted healthcare professionals. Crowd queries are fast, easy and specialized for the healthcare industry. Micro surveys facilitate fast response rates, while specialized crowdsourcing provides answers within hours, even minutes. 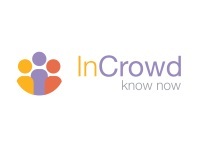 InCrowd is the only company offering healthcare focused real time market research. The company is based out of Cambridge, MA, and was founded in 2010.